The average spring and summer temperatures in California have increased 1.8 o F since the 1970s. Higher temperatures have been associated with increased frequency and severity of wildfire. 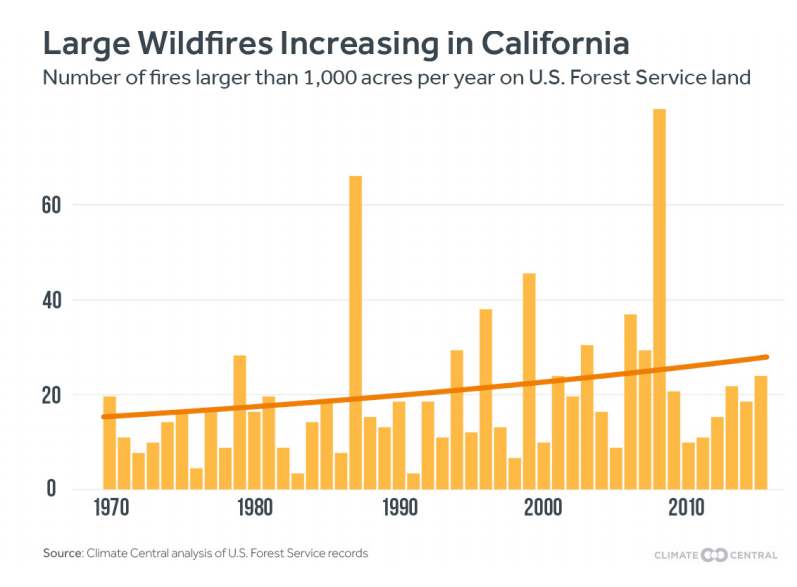 By 2050, California is projected to face 24 more days with high wildfire potential than it did in 2000.